The great thing about making sequels is you have a built in audience as well as a formula to follow however when that sequel is to Psycho its quite different as its one of the most critically acclaimed films and directed by Alfred Hitchcock who is considered as one of the greatest filmmakers (and rightfully so). While most mention the influence of Psycho on the slasher film, which it was, but it also influenced many different genres. Even Martin Scorsese with Raging Bull had some influence. One of the fight scenes was shot and edited to look like the shower scene. 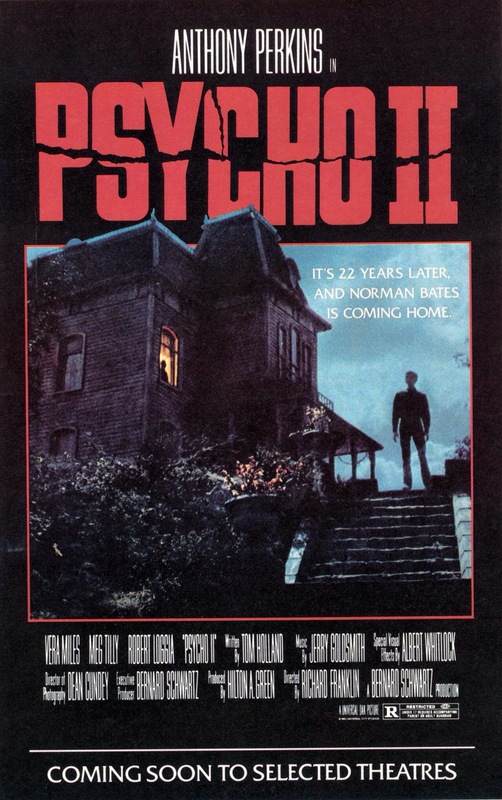 Psycho II was made for two reasons; due to the popularity of the original and due to the popularity of the slasher film at the time though with that said Psycho II doesn’t exist simply because it can. 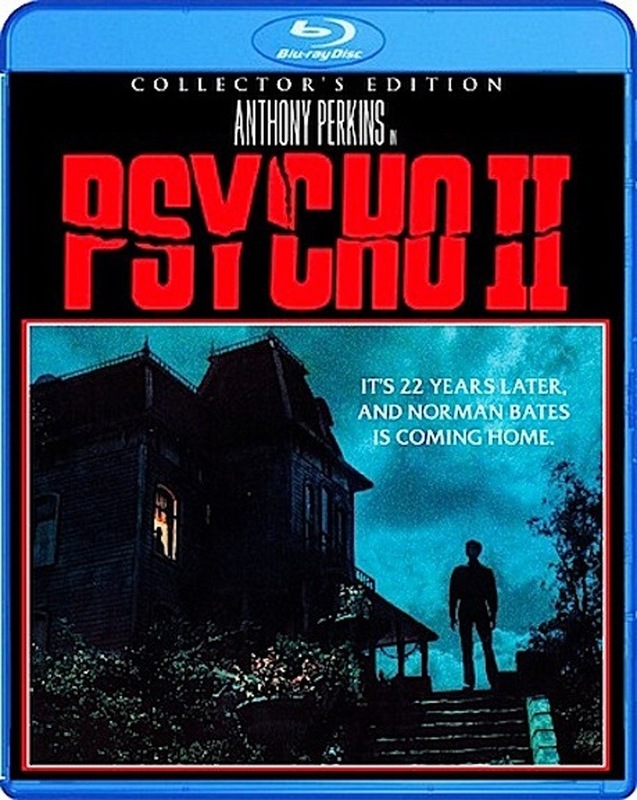 Many genre fans consider Psycho II the greatest horror sequel and while I wouldn’t go that far, but of all the horror sequels and even non horror sequels, Psycho II actually has a plot and it doesn’t rehash the original, but continues the story. 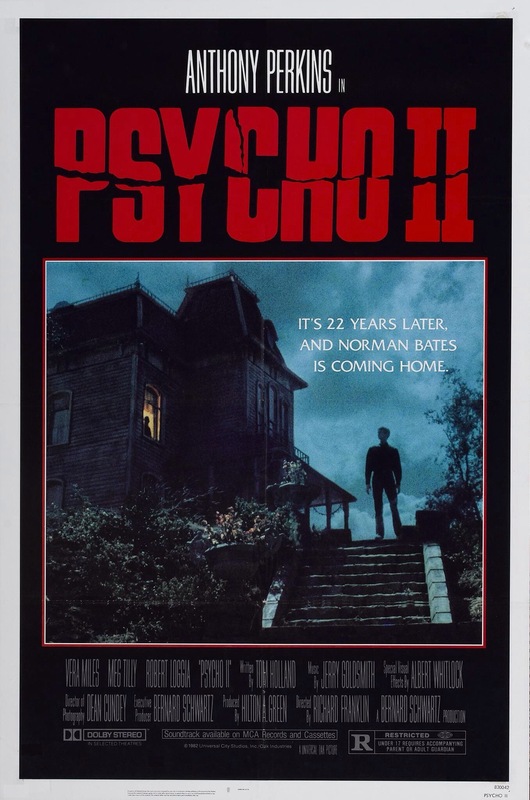 Like I said as far as horror sequels go I wouldn’t say Psycho II was the best (though its up there), but this film is probably the best continuation since again it doesn’t rehash the original but continues on and also has legs of its own. 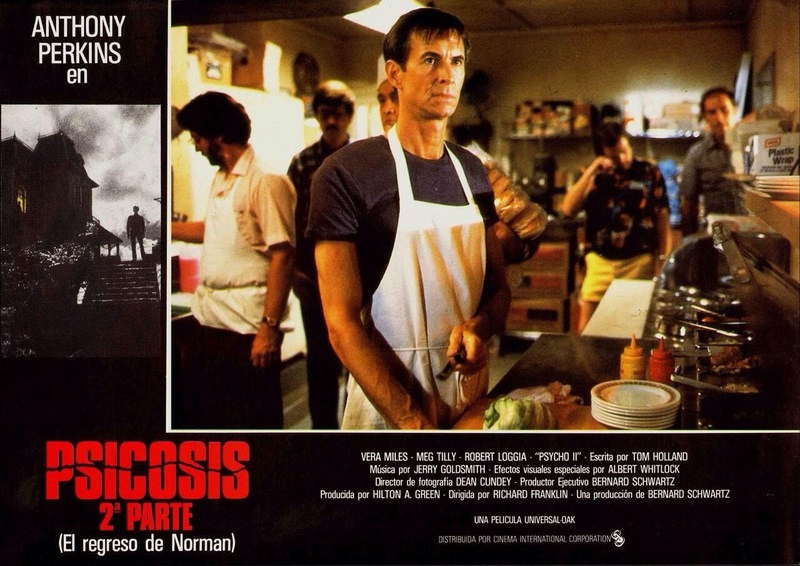 Whereas most sequels can lack their own identity that isn’t a problem in Psycho II. 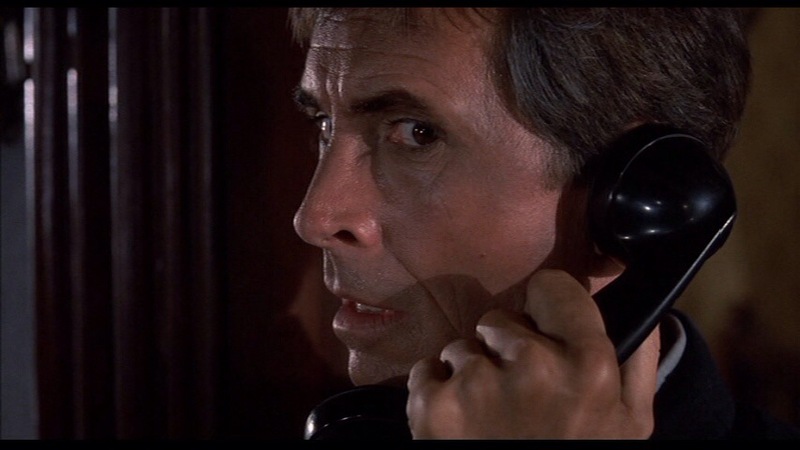 Overall Psycho II turns out far better than perhaps it should have and while not a perfect film it is however effective. Even though many horror fans hail this as the best horror sequel there are others that dislike how it went more along the lines of a slasher film, which isn’t totally true. 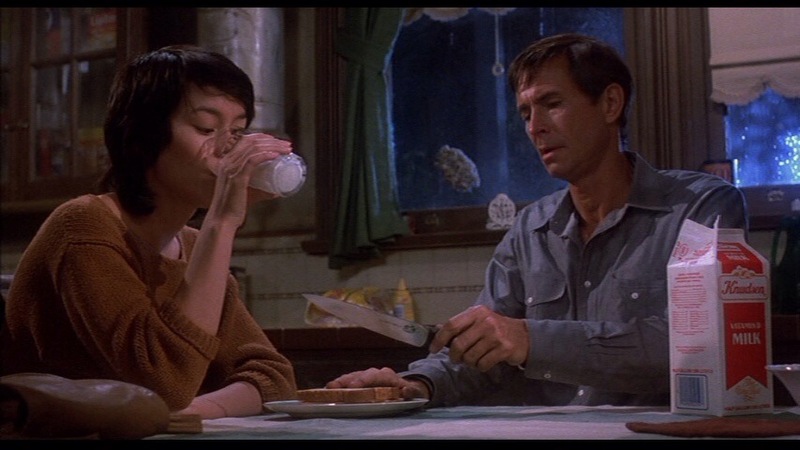 Psycho II is more graphic including a scene where one character gets stabbed in the mouth and sure you can see the slasher influence, but Psycho II is in no way a body count film and if anything it stays more true to the original with a few more slasher like scenes mixed in. 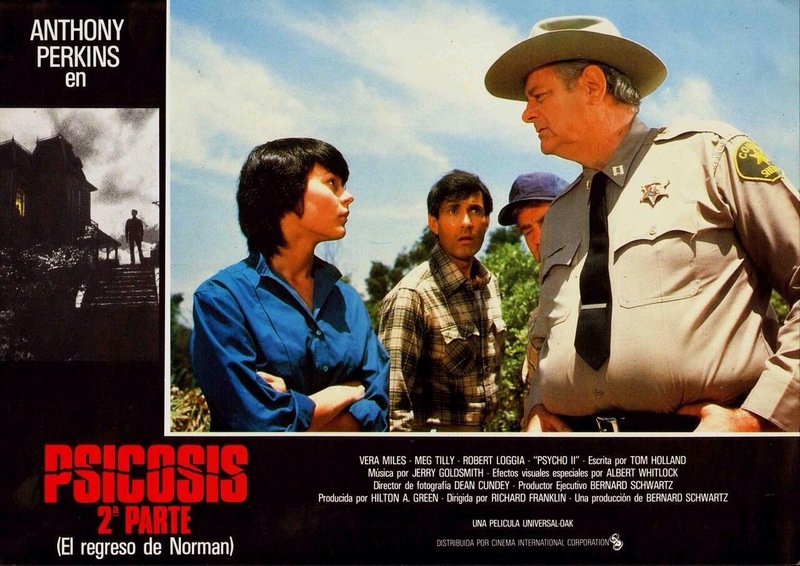 A lot changed from 1960-1983 and the makers of Psycho II adjusted to the times without going the splatter route. 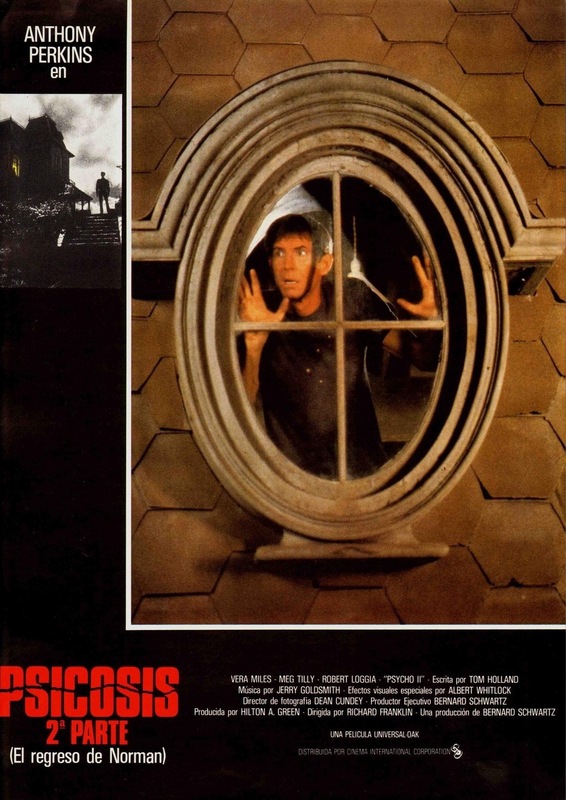 22-years after the events of the original Psycho Norman Bates (Perkins) is released from an insane asylum and tries to adjust to his freedom while trying to make a normal life for himself while Lila Loomis (Miles) angered by his release comes up with a plan to drive Norman crazy again and back to the asylum. 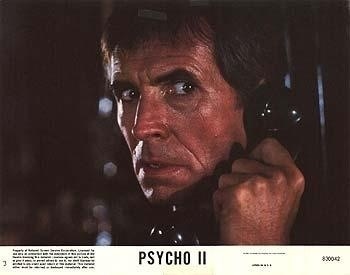 Psycho II was written by Tom Holland and writing a sequel to a film seen as one of the all-time greats is no easy task. Tom Holland however delivers an excellent and well plotted film that continues the story without rehashing it. 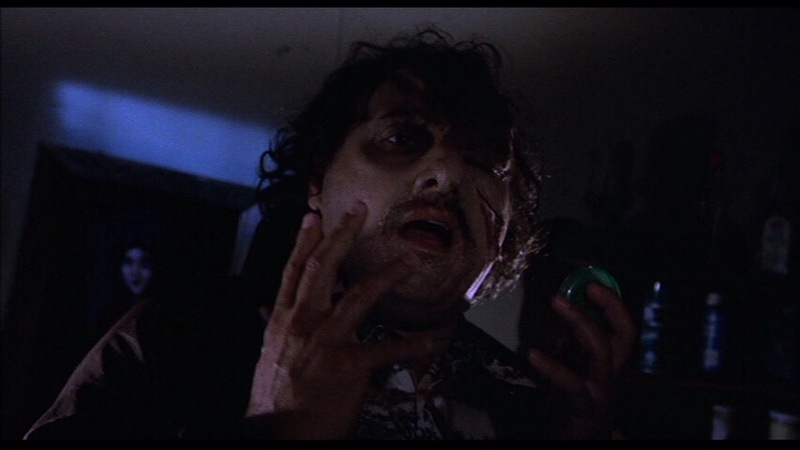 Like I said I don’t see this as the best horror sequel, but it is the best continuation. The characters are great and Holland writes a very clever thriller. 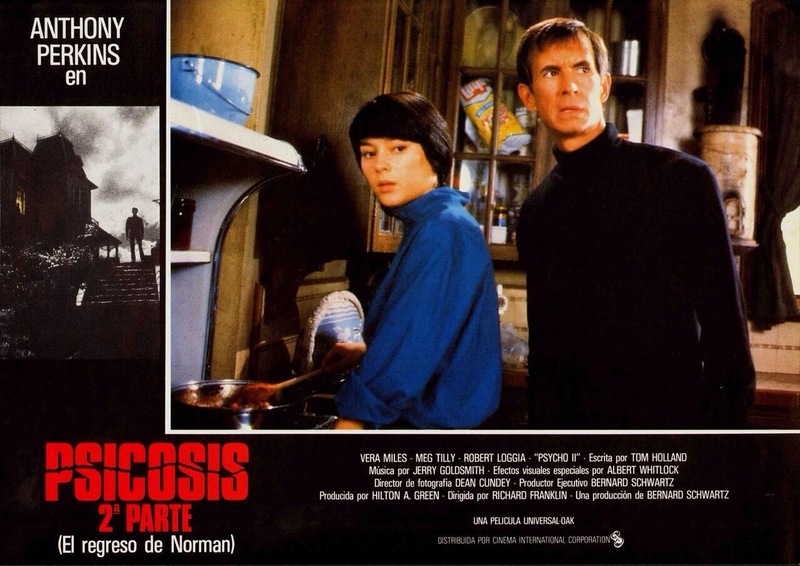 Psycho II makes for a very interesting character study as we follow Norman trying to live a normal life and its interesting seeing how angry and bitter Lila has become she’ll put anyone at risk to get Norman. We kind of have that role reversal as Lila in many ways becomes the villain and while we can understand where she’s coming from the fact she’ll put anyone in jeopardy makes her unlikable and ruthless. Even in the original Norman really wasn’t the villain and here I’d say he’s more sympathetic as he struggles to retain his sanity. Tom Holland wrote an excellent film and while it may not be as good as the original it can stand proudly with it. If there was a lot of pressure on Tom Holland writing a sequel to Psycho imagine the pressure on Richard Franklin taking over for Alfred Hitchcock. Franklin delivers a well made and mostly well paced film that has plenty of suspense and tension. 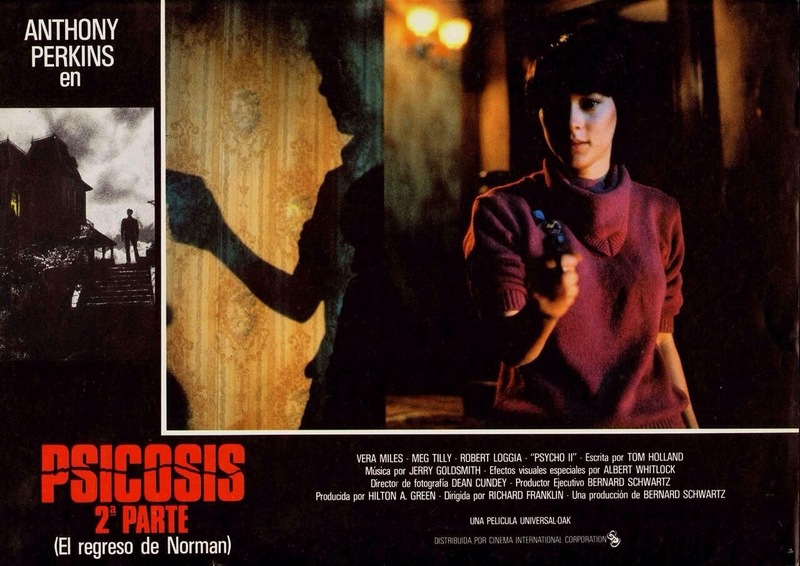 Throughout the film the tension runs high and Richard Franklin directs an effective and stylish thriller. 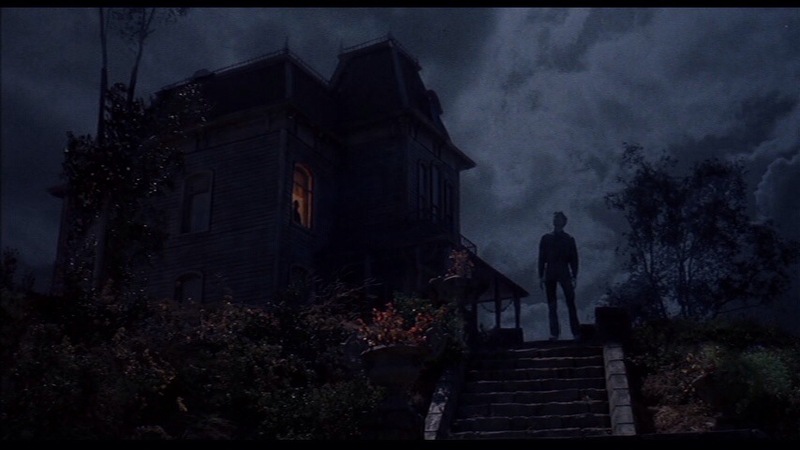 Running at 113-minutes, Psycho II is a little longer than it needed to be and while the pace can get a little slow in spots, Franklin however always retains a layer of suspense throughout the picture, which keeps the pace from slowing down too much. 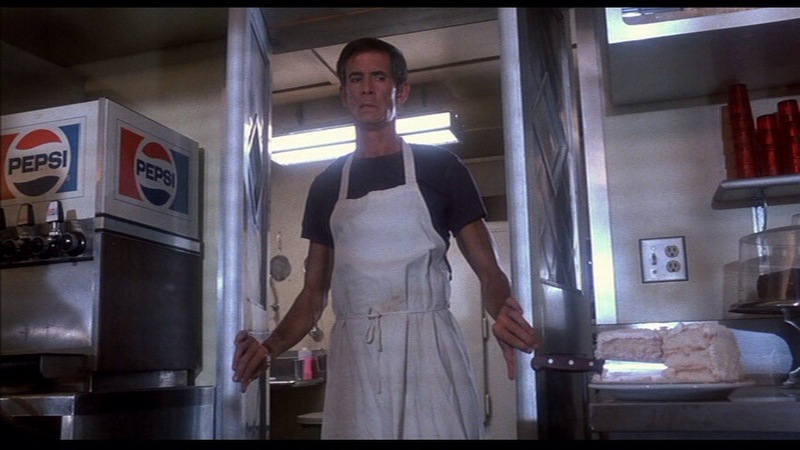 Psycho II may not be a perfect film, but all things considered Richard Franklin is able to craft an excellent thriller that’s loaded with suspense. 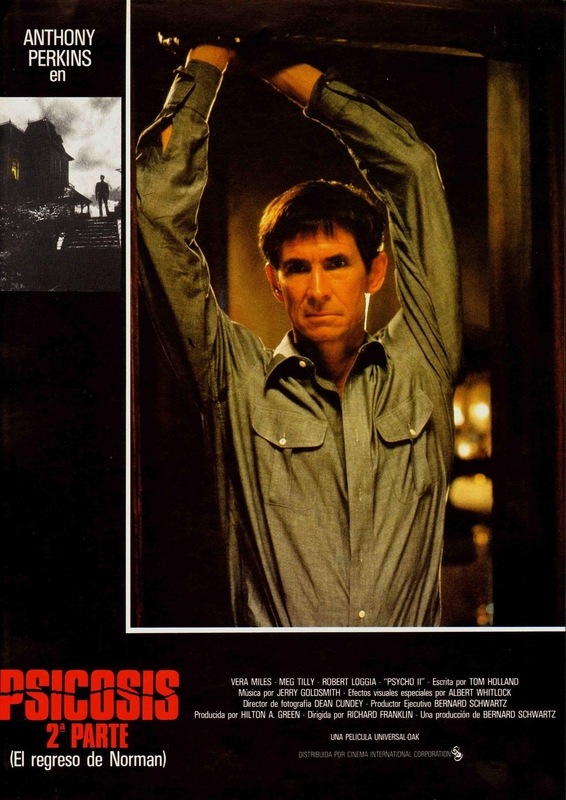 Anthony Perkins is again terrific in the role of Norman Bates and from an acting standpoint he was great in the original and just might be even better here. Some people were upset with the direction the film took with Lila and I sort of agree, but regardless Vera Miles is excellent and while I understand complaints as I have some myself it is quite interesting to see how the events of the original shaped Lila and Vera Miles does a great job. 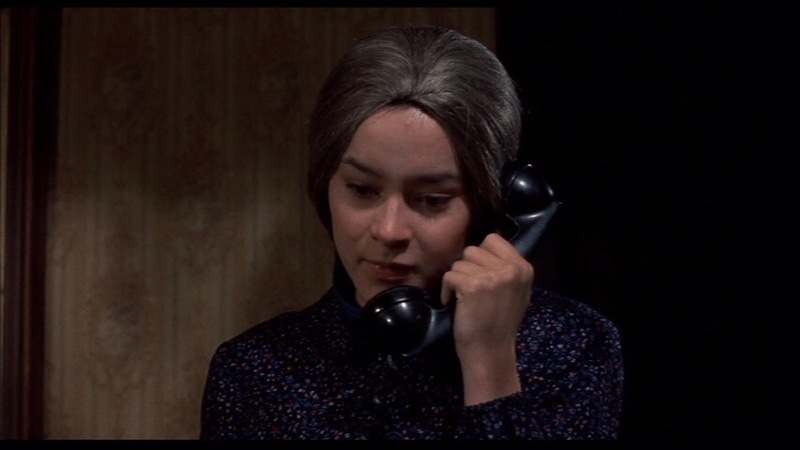 Meg Tilly was also a joy to watch. She’s quite attractive and has this natural charisma to her. 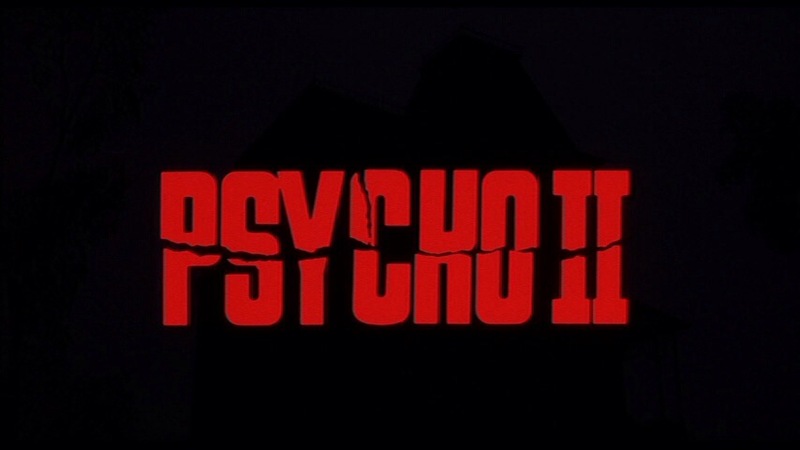 Overall Psycho II is a great film and though I again wouldn’t label it the best horror sequel a case can be made why. 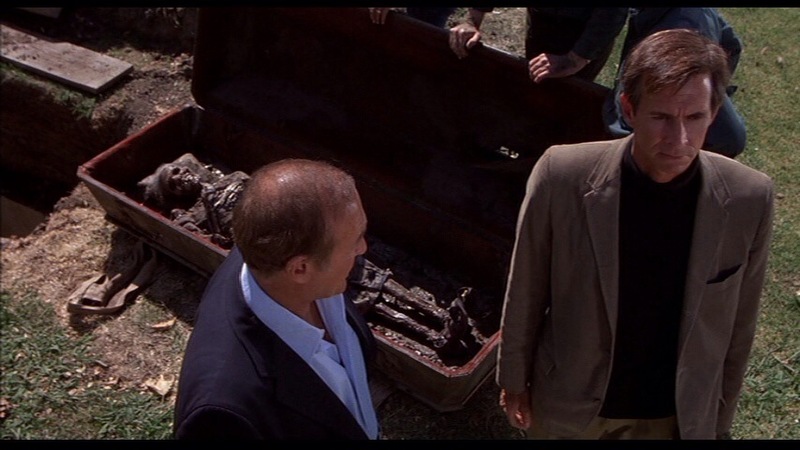 With excellent performances and strong writing and directing and a whole lot of suspense Psycho II does the impossible and turns out to be a great film and a very worthy follow up to a masterpiece. 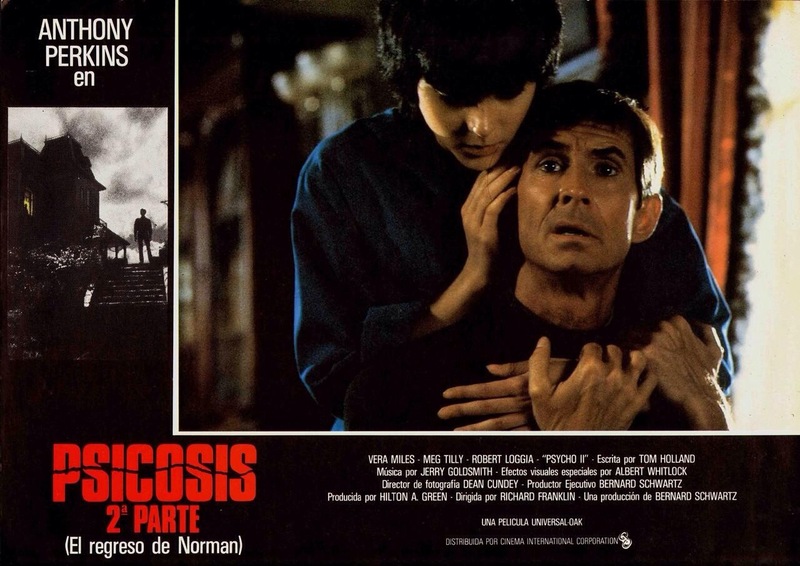 The year before Psycho II came out Robert Bloch who wrote the novel the original Psycho was based off wrote a sequel of his own also titled Psycho II and the film wasn’t based off Bloch’s novel and it makes for some interesting comparisons as they are so drastically different. Those upset with how Lila was in this film will be a little more pleased with the novel in that aspect. 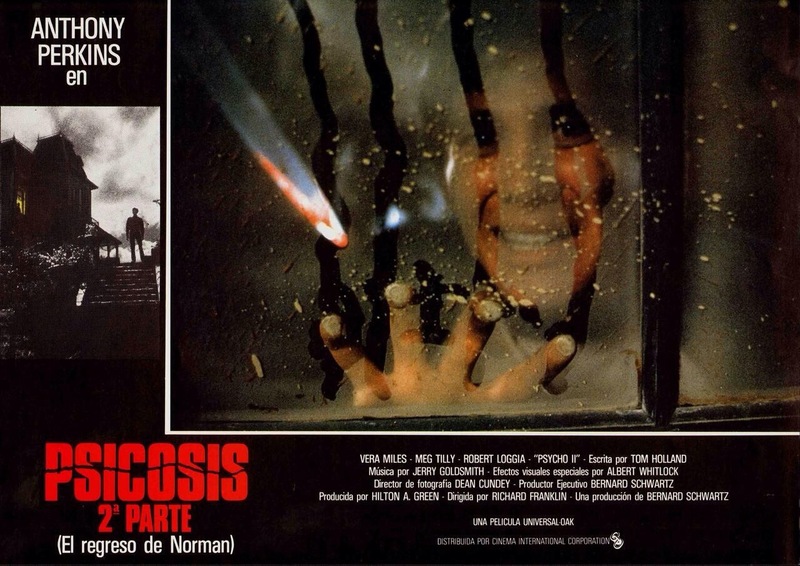 In 1990 Bloch would write another Psycho novel titled Psycho House, which has nothing to do with Psycho III or any if the other Psycho films.